The standout name in an exciting looking England Saxons squad announced yesterday today was Semasa Rokoduguni. 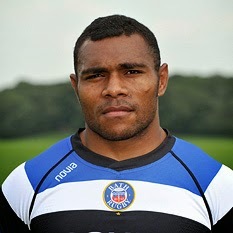 The Fijian-born Rokoduguni is a member of the British Army in the Royal Dragoon Guards. He qualifies for England on residency grounds, so England are perfectly entitled to select him. The problem for me is simple – he’s Fijian, he should be playing for Fiji, and playing for the Saxons will rule him out of playing for his country of birth in the future. And before anyone mentions it – no, it’s not the same as the selection of Vunipola brothers or of Manu Tuilagi – all of whom came through the English schools system. Part of me feels like he should play for Fiji, but if he is already willing to spill his blood for Britain on the battle field, he should be able to shed his blood for England on the rugby pitch. That said, I do think Fiji, Samoa and Tonga have had a lot of their talent poached by various countries. They certainly produce an awful lot of talent.